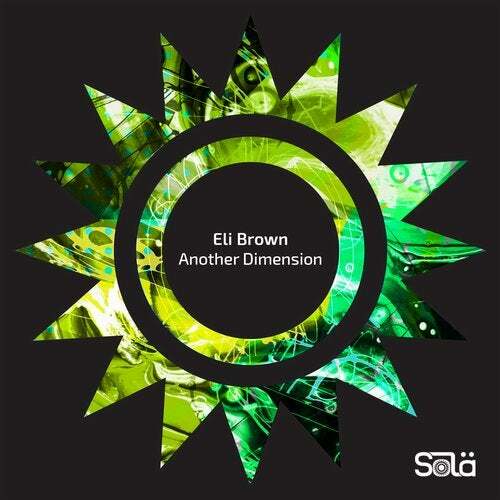 Following up his recent Lucky EP on Moon Harbour and hot single 'Push It Up' on Kaluki, UK producer Eli Brown has delivered his 3-track EP, titled 'Another Dimension', on Solardo's SOLA label. Set to drop on 25th January, the EP showcases Eli Brown's rugged beats through title-track 'Another Dimension' and the sinister sounds of 'Low End Theory'. With the driven grooves of 'Hopelessly Addicted' rounding off the release, the production follows the success of Eli Brown's Lee Foss collaboration 'Freak You Right' - which was widely supported on BBC Radio 1 by the likes of Danny Howard. Rapidly establishing himself as an artist of real distinction in the house world, Eli Brown has previously made a huge impact upon a flurry of the industry's biggest names. Singled out for his gritty style, Eli Brown's productions perch on the lines of dark and light, creating twisted dancefloor pieces packed with a vibrant club-ready energy. With labels like Steve Lawler's 'Viva Music', Skream's 'Of Unsound Mind' and Lee Foss' 'Repopulate Mars' championing Eli Brown, the UK producer continues to gain support from established figures in the house world and finds his music resonating with fans, recently playing shows across the likes of Brazil, Ecuador, and North America. Released on SOLA, the imprint of popular Mancunian duo Solardo, the 'Another Dimension' EP follows the label's recent celebration of 50 releases, cementing a place as one of Beatport's top 10 selling labels across all genres, unveiling tracks from the likes of CamelPhat, Secondcity, Del-30, Prok & Fitch and Mason Maynard in the process. With 2018 seeing Eli Brown make his debut at iconic London club fabric, in addition to two Warehouse Project events, supporting Solardo and MK on two seperate dates, the 'Another Dimension' EP is set for release on 25th January, with Eli Brown intent on starting 2019 with the same relentless power with which he finished the previous year.